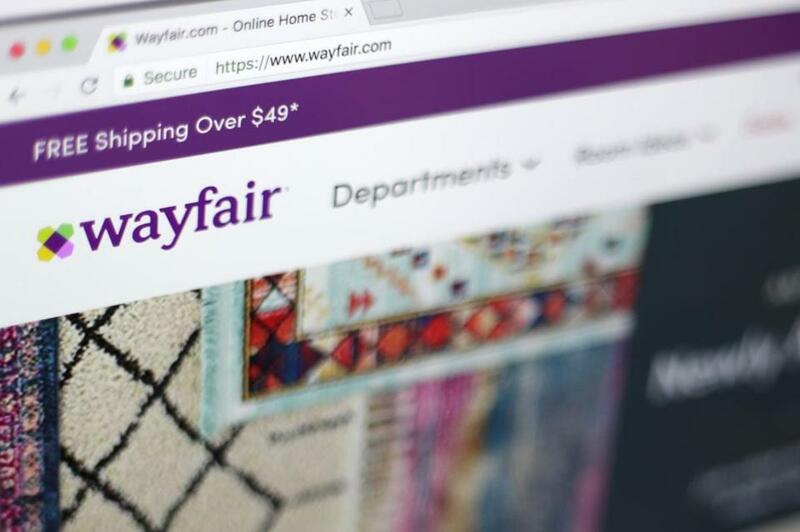 Wayfair has received $1.4 million in state tax credits during the past five years. Who needs Amazon when we have Wayfair? It’s Economic Development 101: prioritize helping home-grown companies to expand over gunning for out-of-state prizes. A bird in the hand, and all that. We lost the Amazon HQ2 competition. But state officials aren’t licking wounds. Instead, they’re going back to the tax-credit well for Wayfair — the online seller of furniture and other home goods that is growing at a breakneck pace in Boston. The Economic Assistance Coordinating Council meets in Worcester to review a new slate of tax incentive requests on Thursday. Wayfair tops the list. (Also on the agenda: potential incentives for Aetna’s Wellesley expansion and rival/onetime merger partner Humana’s future Boston office.) If approved, it would be the third such state award for Wayfair. But this new offer comes with a twist: This Wayfair expansion isn’t limited to Boston. The company has pledged to open a call center in Pittsfield, potentially bringing hundreds of jobs to Western Massachusetts. The east-west strategy echoes a deal the Baker administration assembled earlier this year for MassMutual to pack more jobs into the insurer’s hometown of Springfield and a new office in Boston’s Seaport. Speaking of packing in the jobs: Visit Copley Place on any given Monday for evidence of Wayfair’s breakneck growth. You’ll see scores of fresh recruits, rows of twentysomethings lined up for onboarding. Wayfair employed about 3,500 people in Boston a year ago. Today, that number exceeds 5,000. In early 2019, the company plans to start expanding into nearly 400,000 square feet of space it has leased at the nearby 500 Boylston/222 Berkeley complex. The new offices augment the 650,000 square feet Wayfair occupies in Copley Place. And more space could be in the works. Wayfair’s stated goal: to ultimately employ 10,000 people in its home city. Meg Mainzer-Cohen, president of the Back Bay Association, is among those rooting for the Wayfair incentives. She has seen the vitality and youthful energy that Wayfair’s legions have brought to a neighborhood better known for insurance offices. They’re jamming the restaurants, convening events at the hotels, visiting the stores along Boylston and Newbury streets. The latest tax incentives are attached to some 3,300 new jobs, mostly in Boston. That would normally be a jaw-dropping number. Not for Wayfair, not at this pace. The company has already said it would add even more than that in Boston. State officials would argue the tax incentives helped make the Pittsfield project a reality; Wayfair considered several other states for the call center. This expansion will be a sort of homecoming for Niraj Shah. The Wayfair chief executive grew up in Pittsfield, graduating from the city’s high school in 1991. His father, like many of his generation, worked at General Electric. GE, of course, once dominated Pittsfield’s economy. GE is long gone from the city today. But maybe Wayfair can start to take its place.